Intermediaries Legislation (IR35) – a discussion document on key issues HMRC believe should be addressed. In this ebrief we consider what these mean for contractors and freelancers, and our views on the likely outcome if they are implemented. Since the beginning of the recession there has been great pressure on business to reduce costs and in particular the cost of labour. Some employers sought out a market for creative employment models to remove their obligations to pay employment taxes and avoid the cost of employment benefits. An active market for false self-employment models was established. We have all seen evidence of this with online adverts claiming 90% take home pay. These models take advantage of the complexity over assessing a worker’s tax status and, having created a false self-employment, make the most of generous tax reliefs for expenses to reduce tax liabilities for the worker. The consequences are that an employer’s cost of labour is reduced whilst maintaining take home pay for the worker; with the ultimate loser being HMRC in reduced tax collection. HMRC has recognised that these models have created false self-employments with the consequence that the Exchequer is losing revenue and is actively seeking to remove the benefits of false self-employment. The new travel and subsistence (T&S) proposals are taking a further giant step intended to stop tax relief for T&S. The consultation states as its aim “to remove home-to-work travel and subsistence relief where a worker is employed through an employment intermediary and under the supervision, direction or control of any person”. This proposal, together with the previous changes already in force, are expected to reduce, if not remove, the benefit of using many false self-employment models. However, HMRC has realised that many promoters of these employment models would seek to switch workers from the ineffective models to personal service companies (PSCs). Consequently, HMRC is looking at what measures could be introduced to restrict the use of PSCs as an alternative model for false self-employment. They have therefore set out for discussion proposals for a simplification of IR35 and its enforcement that will, as its immediate purpose, result in the protection of the Exchequer. On the face of it, this is all fully understandable, however there are unintended consequences for genuine self-employed workers, either within Umbrellas, employment models or PSCs that could have a detrimental effect to them and the temporary labour supply market. What is hotly being discussed and debated is the level of supervision, direction or control that a worker is subject to…and who should have responsibility for assessing this. subject to (or to the right of) the supervision, direction or control of any person. In short, anyone whose relationship with their engager looks and acts like an employee relationship will not be able to claim T&S expenses to reduce the tax they pay. The consultation focuses on whether the worker is subject to (or to the right of) SDC as being the only test of employment status. The consultation goes on to propose that it is the engager that should determine the existence of SDC and threatens the engager with severe penalties if they deliberately mislead HMRC on its existence. HMRC has now used SDC as the employment status test in the 2014 changes to the Intermediaries Legislation and proposed its use in the T&S consultation, so it is no surprise that the IR35 discussion suggests that SDC should be used to simplify the question of status for IR35 purposes. Intouch believes that simplifying the test to only SDC is wrong on many counts. Every contractor currently has a legal obligation to self-assess each of their contracts to determine their IR35 status and conclude if they are a ‘deemed employee’ or not. But as the number of non-PAYE workers has risen, HMRC have deemed that the current law is no longer fit for purpose as it is open to ambiguity, interpretation and abuse. They now want to try and level the playing field. Again. The essence of the current debate is that there must be a simpler way for temporary workers to determine their employment status. HMRC are at pains to stress that they want to “improve the effectiveness of the existing intermediaries’ legislation” and “explore options to make legislation more effective in protecting the Exchequer and levelling the playing field between direct employees and those who work in a similar manner” and not damage the flexible workforce. We believe that adopting SDC as a single test for employment status, whether for T&S or IR35, is fundamentally flawed and does not address the issues for HMRC nor avoid unintended, detrimental effects to the genuine self-employed, who HMRC accept exist and play an important part in the labour supply chain. engagers should not be permitted on the one hand to impose employment tax status without accepting the obligations of an employer (tax and employment rights). Attempts to simplify tax legislation is likely to result in unforeseen, negative impacts. We believe both the T&S and IR35 proposals to be flawed and will result in unintended consequences including a failure to protect the Exchequer. Where both documents lead to legislation, any Umbrella worker found entitled to claim T&S will equally be entitled to switch to a PSC and claim to fall outside IR35. There will be even greater pressure placed on engagers to change the basis of engagements to remove SDC and in so doing open the floodgates for Umbrella workers to switch to PSCs, even if this is not the most suitable trading model for them. HMRC’s proposals around SDC on one hand simplifies the issue and on the other complicates it with complexities and ambiguity. It is flawed in its practicalities and doesn’t work for those who are genuinely self-employed. UK plc is risk averse and will likely introduce changes to its labour supply to avoid risk and the burden of compliance. This will inevitably change the supply chain and have detrimental effects on the flexible workforce. With all this unwelcome added responsibility and potential for slip ups, will engagers want to take on the ‘risk’ of using a flexible workforce? Which contradicts why they select contractors over permanent headcount in the first place! The Exchequer will be unable to protect its revenue because it will not have the means to follow up on compliance, as it has historically failed to do. We foresee that HMRC will be embroiled in many appeals and disputes from the genuine self-employed, resources that HMRC don’t have at its disposal. Furthermore, the impact to the contractor’s cash-flow may leave many honest workers out of pocket for the duration of the appeals. HMRC would have to go directly to the engager to get information about contracts and the way the contractor works, potentially creating resentment from the engager towards the contractor for inadvertently creating this extra bureaucracy, burdening them with extra work and responsibility. What is clear is that tinkering with the current rules won’t be enough to stop abuse or different interpretations of the rules. HMRC need to ensure that they employ thorough consultation and suggestions rather than knee-jerk short sightedness. The process must involve workers, trade bodies, professional advisers and engagers to determine commonly agreed standards of self-employment, relevant to individual markets, and roles. For instance, IR35 is not the problem. Understanding status is the real issue and defining status is not within IR35. 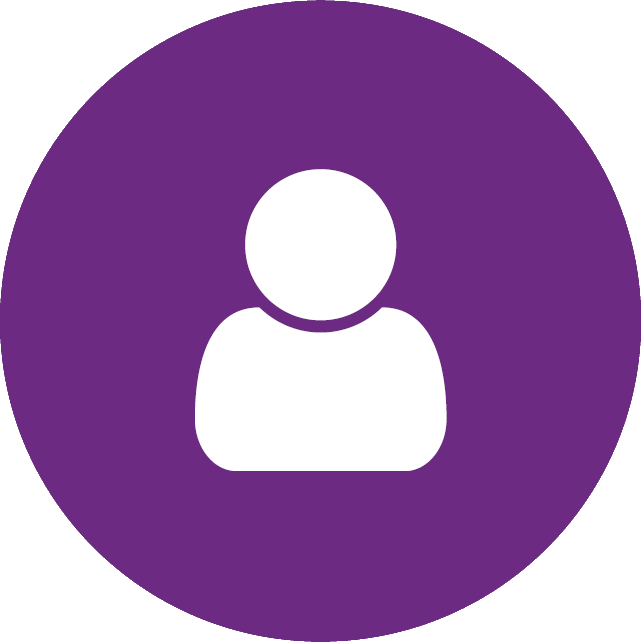 We recommend that HMRC, together with stakeholders, develop a meaningful digital status indicator that has broad acceptance from all stakeholders. Such tools should be developed for specific industries as it would seem sensible to determine status with each in mind. This would then carry credibility with HMRC, the worker and the engager and mitigate the risk of a worker’s employment status being incorrectly assessed. Extended reporting about who is paying whom and robust certification for PSCs would allow for greater transparency at different points along the supply chain. HMRC need to ensure that they employ thorough consultation and suggestions rather than knee-jerk short sightedness. It should be applauded that HMRC are seeking fairness. At Intouch we support measures that are intended to promote and encourage compliance; discourage and challenge non-compliance; penalise the true offenders; and protect the Exchequer without unnecessarily targeting the genuine self-employed. Of course this is right and we acknowledge that any change to tax legislation is never going to be easy. But what is/isn’t fair is widely open to interpretation. We believe the vast majority of PSC workers to be compliant and pay the right amount of tax on time, without the slightest intention to deliberately defraud the tax system. So we urge HMRC to focus their efforts on weeding out the abusers and tax avoiders, punish providers who push workers into inappropriate employment intermediaries and focus on helping the vulnerable workers. But this whole issue has come about because government simply can’t enforce their own rules and so there is a real risk that the self-employed will be made to boost the Chancellor’s coffers because their limited resources can’t keep up with what they should be doing. In recognising the problems HMRC are having, it seems that what is proposed in both of these documents will stem the tide of the growing and valuable flexible workforce by using a big sticky brush to catch a few flies in order to make the solution easier for the taxman. IR35 is already difficult to grapple with but when the changes to T&S expense claims come into force and how employees are assessed, this will add another level of complexity. Until changes are made to IR35, which may be several years away, it will still be necessary to apply the normal tests to determine a company’s IR35 status but completely different tests (based on SDC as to how the work is done) that will need to be applied to determine if T&S expense claims can be made. 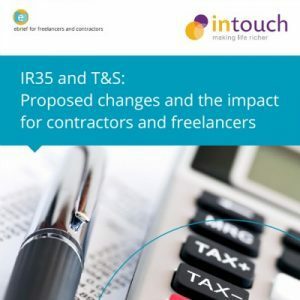 While proposed changes to T&S look pretty certain, IR35 is still very much under discussion and there is still opportunity for negotiation because the truth is, HMRC need all the help it can get to figure this out! They are inviting responses from stakeholders up until the end of September and Intouch Accounting have welcomed the opportunity to be heavily involved in that process. We’re putting the final touches to our formal response to both documents, which will cover many of the points discussed in this ebrief. But our plea will be loud and clear: the job market has proven time and again that the skill set and independence of flexible workers is the thing most valued by organisations. Proposals that bring about compliance and a truly level playing field are wholly supported, provided they don’t inadvertently penalise those genuine workers who have chosen to be part of the flexible labour market, other than as employees of the engager. The solutions currently being offered in both documents are at best weak and at worst will bring an end to the vibrant and growing UK contractor workforce who bring so much specialism and skills to British industry, helping us retain our competitive advantage in fierce global markets. If the Chancellor fails to take industry viewpoints on board now, the T&S and IR35 reforms could come back to haunt him at the next election. Plenty!!! This ebrief has been prepared to give you the latest about IR35 and T&S but it shouldn’t be read in isolation. There are still numerous advantages of contracting and if you’re currently an Umbrella worker or are thinking of moving away from permanent employment, there are many benefits to be had from contracting through a Limited Company. Working with a reputable contractor accountant means you don’t have to face HMRC’s changes alone. Intouch Accounting specialise in helping Limited Company contractors get the most, and the best, from their company and remain compliant along the way. As an Intouch client, as well as getting everything you need to run your company you’re entitled to IR35 contract risk assessments as part of your all monthly service. We have also recently added professional fee protection cover so you can rest assured that you’ll have all the support you need if you are investigated by HMRC. Full monthly service for accounting and taxation matters and unlimited advice from your Personal Accountant. If you’re already an Intouch client, don’t forget to recommend a friend and if they sign up for our services, you’ll receive £150 Amazon vouchers. We’ll repeat this for every successful referral!